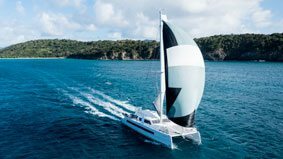 As a leading Jeanneau dealer in New England, Bluenose Yachts has sold nearly every Catana Catamaran model available for sale in the past seven years. 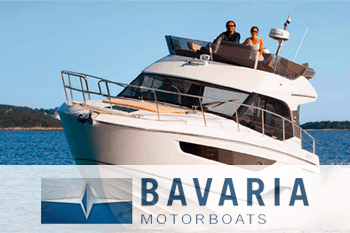 We offer uncompromising service both before and after the purchase of your new Catana. 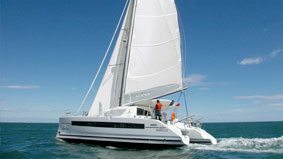 Owners frequently store their Catana Catamaran models with us for the winter since we care for and maintain their Catana Catamaran better than anyone on the East Coast. 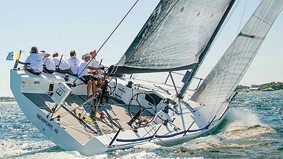 We offer a wonderful charter program that assists to pay for your annual ownership costs and keeps your new Catana in ready to go condition when your busy schedule allows you to enjoy your boat in a the way it is intended, hop on and GO sailing. 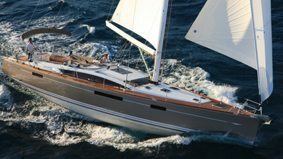 Whether you want a new Catana, a brokerage Catana or to sell your Catana, Bluenose Yacht Sales offers a quality difference that you should experience. 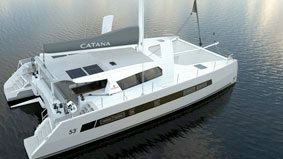 This symbolises CATANA’s desire to come up with more than just speed. 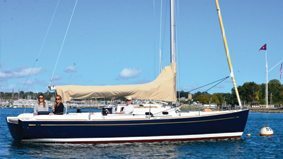 Few builders can claim to offer their cruising boat fans a boat which is at the same time innovative, fast and luxurious, without compromising its seakeeping qualities. 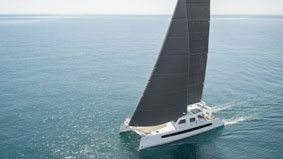 This is where the company bring together the three elements it holds dear: Performance, Safety and ultimate Comfort, the combination of CATANA values which produces unique boats. For more than 30 years and more than 650 models built. CATANAs are built using foam sandwich vacuum infusion technology combined with carbon and aramid fibre (TWARON IMPACT) assembled using vinylester and polyester resins. A combination which guarantees rigidity and strength of the structures, significant weight savings and because of this fact, higher speed. 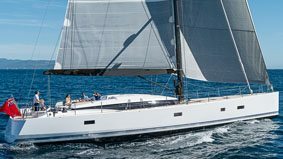 Every model in the CATANA range, from 42 to 70’ is designed in close collaboration with its future owner. This approach to “semi-custom” design allows us to offer to clients, fittings, décor and equipment to suit their own specifications. 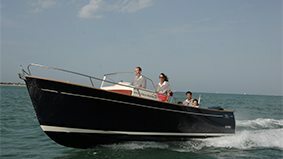 To produce a boat which corresponds to their individual requirements. Because every CATANA is unique. 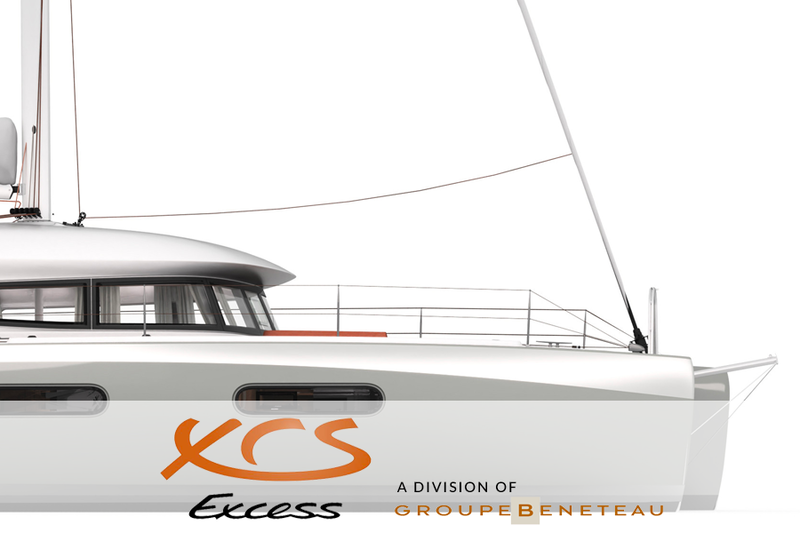 Good bridge-deck clearance and high freeboard for comfort and safety, inverted bows to improve performance while reducing loadings, curved foil-type daggerboards to help avoid the risk of “tripping up” and to optimise the pointing angle, “crash boxes” forward and aft to make the boat unsinkable,… because a CATANA is, quite simply, a CATANA. 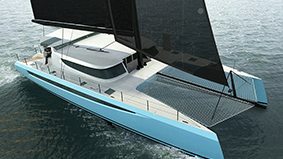 In order to offer such performance with this level of comfort and features, CATANA has called on the major equipment suppliers for the technical aspects, and component manufacturers for the interior finish. 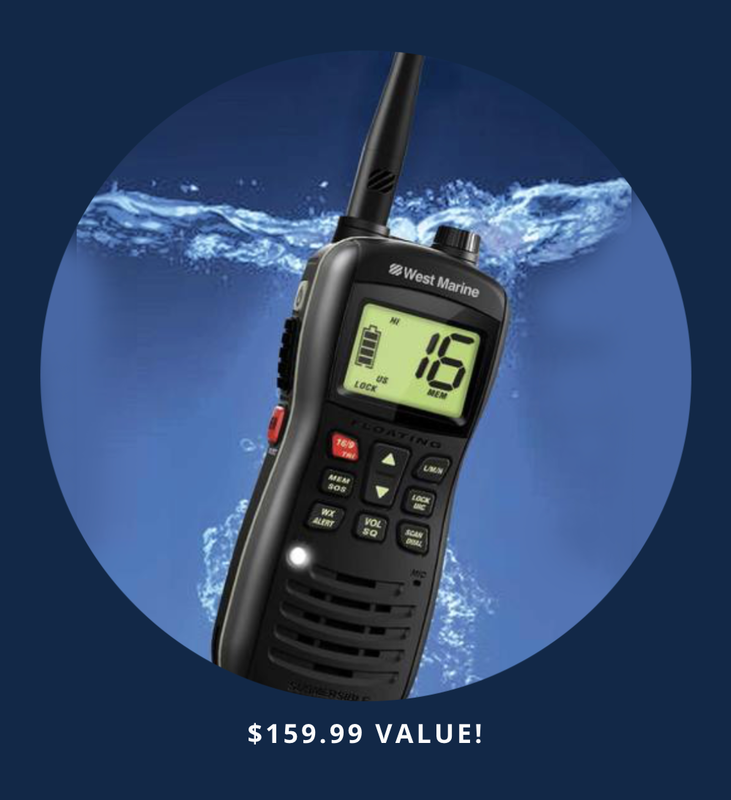 All so that the best of their products is combined with CATANA know-how. 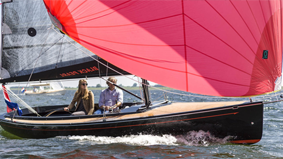 Performance, safety, longevity, innovation, finish, attention to detail – these are the principal characteristics of a CATANA. The CATANA Group has two production sites in France, at Canet-en-Roussillon and at Marans in the Charente-Maritime. 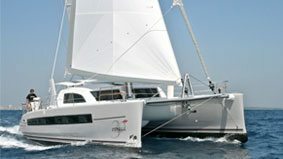 This enables the CATANA yard to control every stage of the build of its models. From research and development, to building and finishing, to delivery and hand-over. All “made in France”!